During these internships, I had the chance to work with a great variety of documents from different periods, which has enabled me to get a deeper understanding of conservation. I have also participated in different projects that were mainly focused on cataloguing, rehousing, and digitising original documents. Although I have gained a lot of hands-on experience, since I graduated I have been looking for new projects to work on that will result in a development and improvement of my conservation knowledge and skills. Therefore, when I saw the advert for the Thomson-Walker internship at the Centre for Research Collections (CRC) I didn’t think it twice! It is an eight-week internship which focuses on the conservation of a collection of around 2,700 medical portraits. Each print is mounted on acidic paper, which can be harmful to the original document, especially in the long term. For that reason, the main purpose of this project is to remove the prints from the mounts, and to rehouse them using a proper storage system made of acid-free materials. 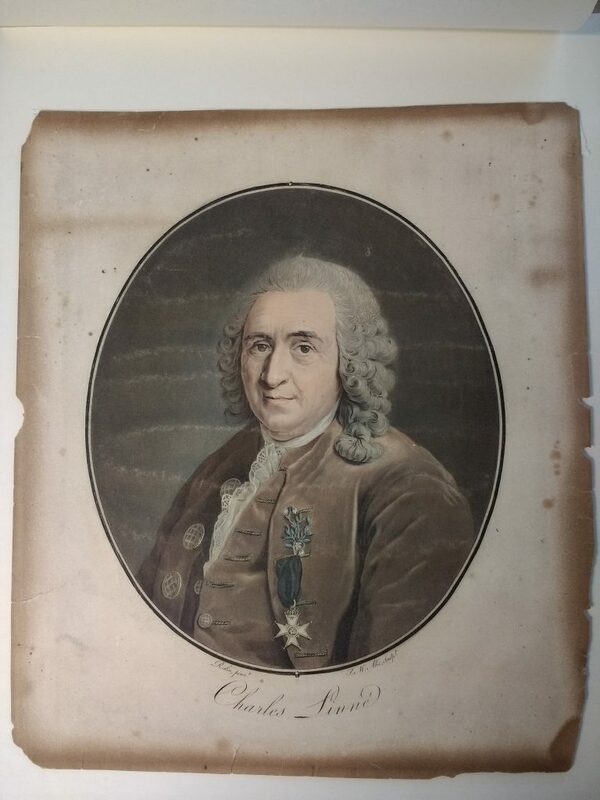 Hopefully, once all this work is done, the whole collection could be digitised, and everyone will be able to consult and study these amazing portraits. Part of the collection has already been digitised, which you can see here. I was lucky enough to get this internship and now I am currently on my fourth week at the CRC. 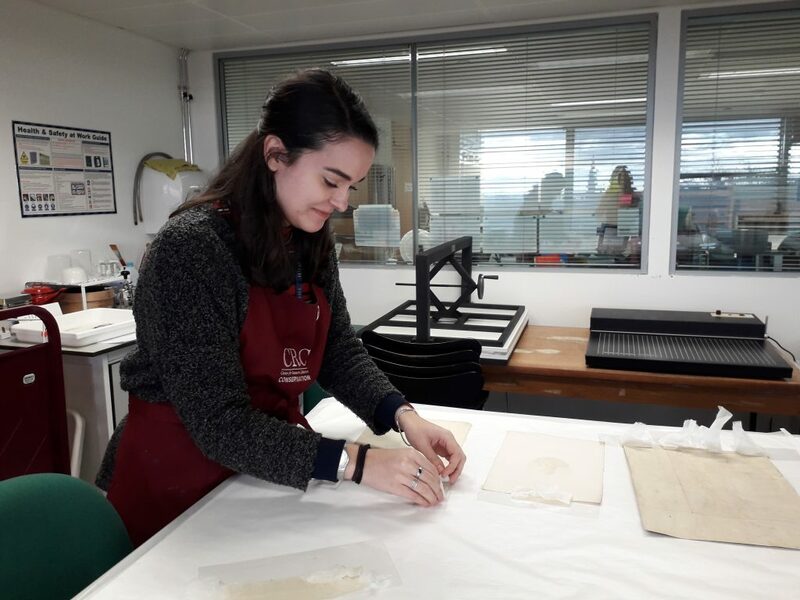 So far it has been a great experience for me, not only because I have the chance to work with one of the best print collections in Scotland, but also by having the opportunity to participate in other projects and activities in the conservation department. Opportunities like this one are a great way to start building up a career in conservation of cultural heritage, so I’m really looking forward to see what else I will be involved in over the next few weeks! This entry was posted in Internships by conservation. Bookmark the permalink.